Does hip pain and stiffness keep you from taking part in the activities you love? Does it make it hard for you to walk, climb stairs, sit down, or stand up? If so, you might require an artificial hip to take back control of your life. Many patients are able to relieve their symptoms using conservative methods, but sometimes surgery is necessary. If that’s the case for you, you can feel confident turning to the experts at Tahoe Fracture & Orthopedic Medical Clinic. We proudly serve patients throughout Minden, Nevada, and surrounding areas. Hip replacement surgery involves removing the damaged portion of the hip and replacing it with an artificial hip joint. During partial hip replacement surgery, the surgeon replaces the ball portion of the joint, but not the socket. This is generally more appropriate for someone who damaged the ball portion in a sudden injury. During total hip replacement surgery, the surgeon replaces the entire joint. This is often used for someone whose symptoms are caused by a degenerative condition like arthritis. 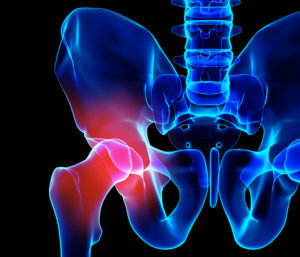 At Tahoe Fracture & Orthopedic Medical Clinic, we’re pleased to provide comprehensive care to patients requiring an artificial hip. In many instances, a primary care physician will diagnose a hip condition and refer the patient to a surgeon, who will then perform surgery and subsequently refer the patient to a physical therapist for rehabilitation. Having to coordinate, schedule, and attend appointments with multiple providers can be stressful and time-consuming. Our clinic, on the other hand, assists patients with every step of the hip replacement process. If you think you might require an artificial hip, you can make an appointment to meet with one of our orthopedic specialists, who will discuss your symptoms, conduct a physical, and possibly order diagnostic testing to confirm whether you need a hip replacement. If you’re a candidate for surgery, our in-house surgeons can perform either a partial or total hip replacement. And, once surgery is complete, you’ll be able to complete rehabilitation with the assistance of our on-site physical and occupational therapists. If you’re interested in learning more about the artificial hip replacement surgery we offer to residents of Minden, NV, and surrounding areas, please contact Tahoe Fracture today.